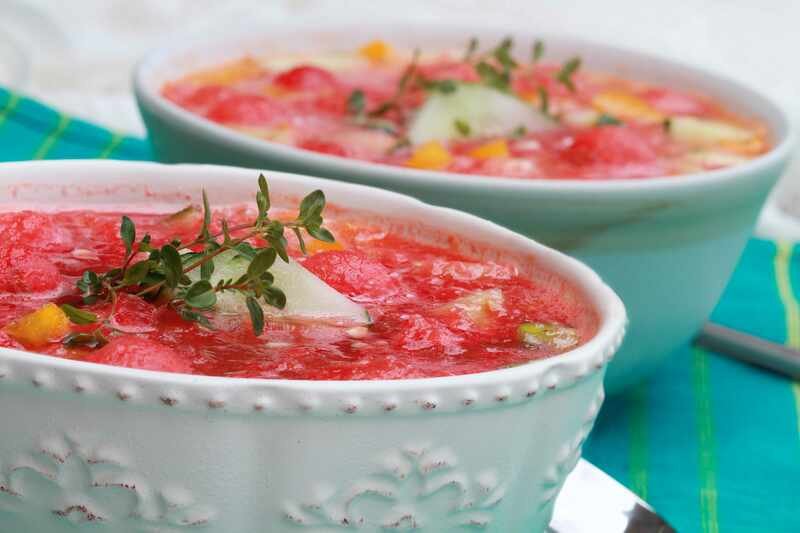 With tomatoes, onions, cucumbers, bell peppers, celery and basil - this nutrient-rich, satisfying salad-in-a-glass, cool and complex soup blends the perfect balance of vegetables, herbs, and spices. Would you like to try this out before you make it yourself? We will be providing free samples under the stairs of the DAHLC on Aug 6! Prep all the produce using the vegetable ends as much as possible. Chop the cilantro and basil stems and include them in the soup. Combine all the ingredients. Mix with a stick blender, pulsing on and off until the mixture is thickened slightly. Stir well. Refrigerate 1-2 hours before serving.